The Crime Prevention and Community Liaison Unit (CPCLU) supports frontline police by managing crime-prevention initiatives and community-safety activities. The unit works with partnerships to identify, coordinate and strengthen crime-prevention strategies through public awareness campaigns, policy action and community consultation to implement sustainable community crime-prevention solutions. CPCLU provides a community consultative and coordinating service to frontline policing services. We provide online access to a number of our publications and resources. Neighbourhood Watch is a long-standing community based program aimed at encouraging neighbours to work together to reduce crime and make their communities safer. Neighbourhood Watch partners with local governments and the wider community to create networks, educate the public on home-safety and provide a platform for WAPOL to link with local communities. 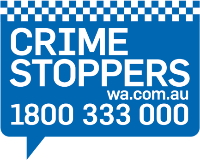 For more information email Neighbourhood Watch, call 9222 1513 or visit www.nhw.wa.gov.au.